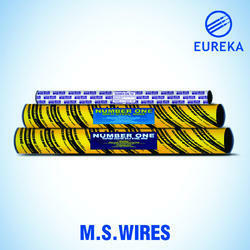 We are a leading Manufacturer of m.s. wire, binding wires, ccms wires, pvc sleeve wires and g.i. wire from Coimbatore, India. MS Wires have low carbon content and hence it is used for various industrial applications and also used for making wire nails, screws, welded wire mesh, fabrication works etc. The product is tested by our QC/QA team against various parameters to provide best quality product for our valuable customers. Binding wire is also called annealed wire / tie wire / bale wire. It is widely used in the construction field for tying the re-bars at the joints so as to keep the structure intact. Solid copper coated welding wire for welding in gas shielding atmospheres. Suitable for welding unalloyed and low alloyed construction steels with tensile strength below 530N/mm2 like boiler plate, fine–grained steels, pipe steels, shipbuilding steels and cast steels. Made from premium quality copper, our range of CCMS wires are also used in fabrication of sparklers in the fireworks industries. 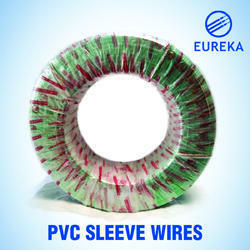 Our range of PVC sleeve wires are made from quality raw materials and are capable to withstand various weather conditions. 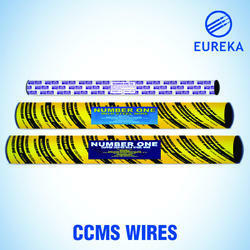 It is used as protectors for rubber hoses and electric wiring. Products are available in market at very affordable prices. 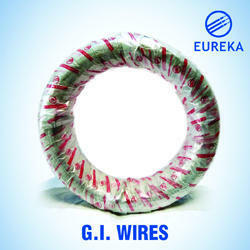 GI Wire is made from high quality mild steel wires. The Zinc coated galvanized wires are highly resistant to moisture and have a very bright and smooth surface finish. 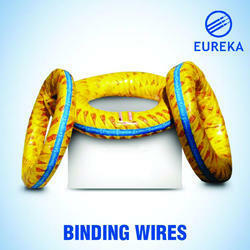 High purity cold dip zinc coating and excellent strength GI wire enable the productfor a strong and long lasting life.